I like the art on this card! dude that tongue!!!! I need to get this bad boy in gold. 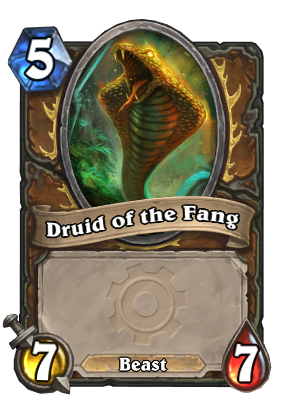 By itself, this card is OP by the vanilla test, however you must have a Beast for this card to be played. Otherwise you summon a 4/4 that costs 5 mana. This minion is OP. 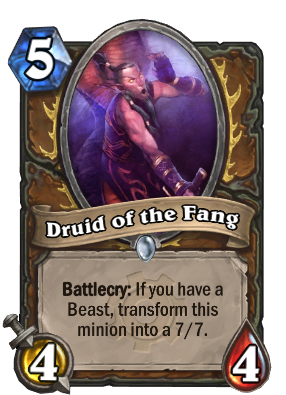 5 mana 7/7? Seriously? The animation doesn't look right. It would look better if the tongue just flicked.